What if? ARE YOU READY?! I love a good mystery. The intrigue, the excitement, the unknown captivate me and keep me guessing about the end. And puzzles! I love puzzles, trying to make the pieces fit until I manage to see the completed picture when it’s done. I suppose it’s these traits that make me a biblical prophecy buff. I love reading prophetic scripture and speculating when the time could be. I find it absolutely intriguing the number of videos and blog posts that have recently appeared regarding the end times possibilities. Based upon what I understand in God’s Word and how the Jewish feast days were created as a template for the eventual coming of Christ as the ultimate fulfillment, I can’t help but lift my eyes skyward and tune my ears to hear the blast of God’s trumpet. It’s coming, folks, and I believe it’s not far off. Some believe it could be in the next day or two. What if? Are you ready? 10 Then he said to them: “Nation will rise against nation (the word translated “nation” can also mean “race”), and kingdom against kingdom. 11 There will be great earthquakes, famines and pestilences in various places (you only need to watch the news to see these things regularly), and fearful events and great signs from heaven (there have been some pretty phenomenal occurrences lately involving the sun, moon, and other heavenly bodies). 1917: The Balfour Declaration expressed Great Britain’s support for a Jewish homeland, the first time a world power had done so. This would finally come to fruition in 1948 when the nation of Israel was re-established after nearly 2000 years. 1967: The Six-Day War which gave Jerusalem back to Israel after multiple other nations had been in control of it since around 740 BC. 2017: Could this be THE year for the Church, the Bride of Christ, to be called home? I don’t know, but my spirit is awakened and hoping! I can’t be silent, knowing that it could be very near. I think of it like this: Imagine you are walking in the woods, enjoying the crisp air on an autumn morning. The reds and yellows and oranges of the fall leaves paint a magnificent backdrop as you watch the birds flitting from branch to branch and the squirrels securing nuts for the winter. As you stroll along the trail, you happen to notice a railroad track not far away, and you see a few people walking between the rails. Some of them are texting, one or two have earbuds in their ears, listening to music, and one is even taking a selfie. A couple of people are in a heated debate over a topic they feel passionate about. And then, in the distance, you hear a train whistle. You can’t tell how far away it is, or from which direction it is coming, or how long it may take before it arrives, but you immediately feel concern for the people on the track. They are busy and not paying attention, and none of them seem to notice as the whistle sounds again. What do you do? Do you shrug your shoulders and keep walking on your path, figuring it’s none of your business? Or do you call out to them, warning them of the approaching train? What if they laugh and say, “Sure, we’ve heard that before! But a train has never come this way before; why would it now?” Or maybe they’ll respond, “I don’t see a train, therefore I don’t believe in one!” For me, I’m hearing the train whistle and I’m going to do my best to warn the people on the track. That train could be right around the bend! I know He is coming some day. I know that the signs are pointing toward that day coming soon. We can’t know for sure the day or hour, but He told us what to watch for and to be ready when we start seeing the signs. What if? Are you ready?! The imagination is a wonderful thing. It is the part of a person’s mind that creates ideas and stretches possibilities. I remember as a child allowing my thoughts to ramble through a variety of adventures that were physically impossible and could only be enjoyed in that wonderful realm of the imagination. Sometimes a story I read or a movie I saw would stoke those imaginative embers, taking me away from the mundane and allowing me to soar like a bird. Sometimes when I read Scripture, my imagination is ignited. The book of Revelation does that for me in a wild rainbow of images. There are dragons and beasts and monsters and battles enough to fuel a person’s daydreams for a long time. And there are other places in the Bible that touch off those sparks of adventurous thought for me. Just read those words and try to picture what it will be like. Just imagine the sound of that heavenly trumpet! You can experience what an earthly shofar sounds like by watching the video below, but oh, the heavenly one! That makes my mind and heart (and my imagination!) soar. If I knew when that event is going to happen, I’d go hang out at the Redbank Cemetery to watch some of my dead loved ones rise from those graves, clothed in their new eternal, glorified, forever perfect bodies, and then–whoosh!–it’s my turn! 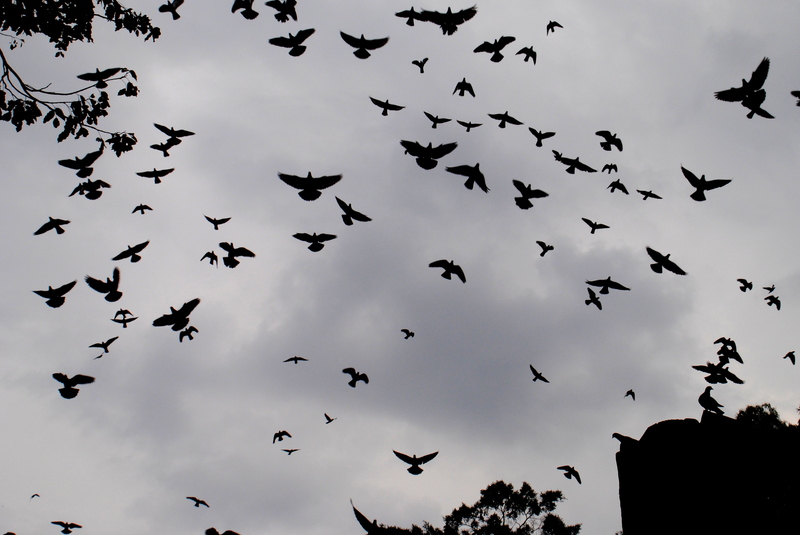 All of us soaring into the air like a flock of birds. Oh to be reunited with my cherished family members who’ve gone on before me: all my beloved grandparents, my Uncle Wayne, my cousin Greg, other precious family, and my husband Randy,.. And to see Jesus face to face! What a glorious day that will be! 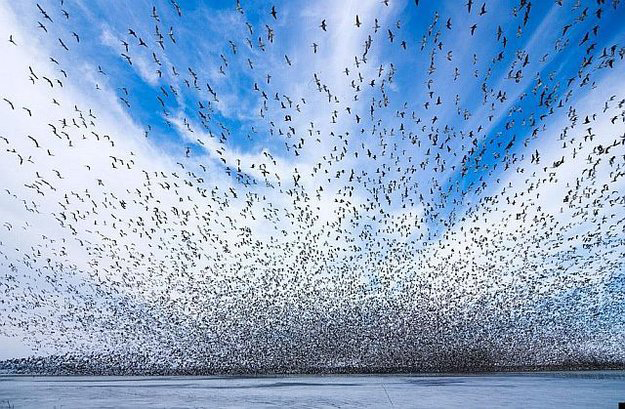 But as I let my imagination fly, I know that my greatest joy on that day will come if all of my birds are with me, my children and their families, rising into the sky to be together forever. I cannot imagine a greater joy than having all of them surrounding the father and grandfather they all adored while he was still here, the man they miss more than words can adequately express, reunited for all eternity. And to join the other friends and family who are still alive: my husband Doug and his family and my parents and my siblings and their families and my cousins and … I can’t imagine anything better than that! Do I really believe this day will come, or is this just some fanciful daydream I imagine from time to time? Oh, beloved ones, I do believe this is real with all my heart. And as I watch the signs all around, including the many events, both in sun and moon and in politics in just this month alone, I can’t help but turn my eyes and ears toward heaven. Oh beloved ones, are you ready? Is your heart in tune with the heart of Jesus Christ? Do you trust Him and Him alone for your salvation? Please give your heart to Him while there is still time. Let Him rule in your life with truth and justice and grace and peace, because only He provides the way. And when that heavenly shofar blows, come fly away with me! I’ve always loved the number 7. As a young girl in Sunday School, I learned that God set aside the seventh day as a day of rest, a Sabbath day, a holy day. Everywhere I looked in the Bible, I saw the idea of the number 7. It is also considered the number of completion, and with this seventh post in this series of blog posts about my life with Randy Allee, I am bringing our story to its conclusion. As I look back upon those last two weeks of his life, two weeks of focusing on the most important things, the necessary things, so many bright moments emerge in my memory. There was the awful first day of knowing about the cancer, and calling Randy’s mom and each of his children to come down to the hospital to see him. I waited until each one of them arrived to pull away from the group, to let him or her know in private that Randy had cancer and that he wouldn’t be with us long. Each individual conversation was heartrending, but each also had an element of beauty as the family drew together in unity on behalf of the man we all loved. The doctor had asked me not to tell Randy about the cancer but that he would do so. At first, I was relieved, but then it became agony for the next two days because all of us who knew the truth had to put on happy smiles and chat about things we hoped to do after he recuperated. But on that day of the surgery and the cancer discovery and the heartbreaking revelation to the family, we stood in our strength as one. …My daily visits from the start of visiting hours until their end. I had no other place I wanted to be but with this man I loved, listening to him breathe during sleep, and chatting with him when he was awake. Our goal that first week in the hospital was to get him on his feet so he could get home, but a second surgery was needed to repair a tear. A nasogastric tube was inserted, traveling into his nose and down to his stomach, which kept him bedridden. A bit of a setback to our plans, but we were still hopeful. Then he began having trouble breathing, and one morning I walked into his room to find him gasping for air. I called for the nurse who called for the Rapid Response Team who arrived in short order and began their work on him. I moved out of the way, my heart in my throat. Randy called out to me, “I love you and I love Jesus!” just before they inserted a tube down his throat to help him breathe. He thinks he’s dying right this moment! I was sent to the hallway and stood in shock, leaning against the wall. Was this the end? I wasn’t ready, not by a long shot! And in it all and through it all wove a ribbon of HOPE. Hope that had begun with plans to take him home so we could make a few more memories as a family that changed into hope for his just making it home to die because he had expressed that desire. And the most important hope that Randy had grasped with all his heart from the moment he knew he had cancer was the hope of heaven and eternity with Jesus, and the hope that all of us who loved him would be with him there someday. When I walked into his room moments after his last breath, I leaned over him and laid my forehead against his still warm face. “It’s okay, it’s okay. I know where you are and I’ll see you again someday!” I looked up to see Joel on the opposite side of the bed, his eyes brilliant with tears. “I’m jealous of him right now!” he exclaimed. I laughed and said, “Me too! Can you imagine all that he is experiencing already?” HOPE. Over the next few weeks and months, I survived by taking baby steps, allowing myself time to heal. I took a leave of absence from work, adjusting to life in my house with just me and my dogs. I learned to take care of things that Randy had been responsible for, and I sometimes chatted with him as if he were hanging out in the room with me. I was attending church again, and spending time in worship was like rain on the parched desert. 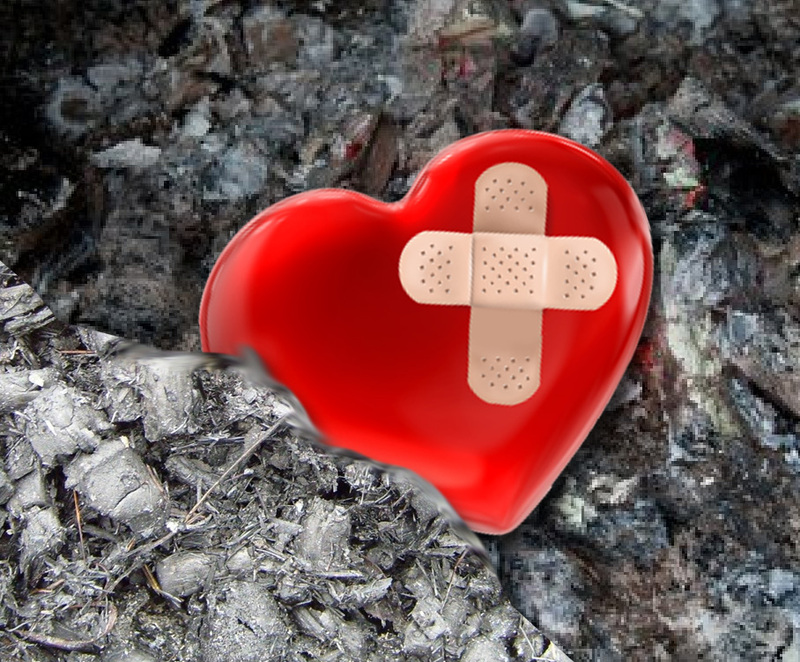 My heart was still broken, but my HOPE was in Jesus. And then after a few weeks, doubt began niggling at the edges of my heart. Memories of Randy’s dark years began to replay in my mind, and I started to wonder if he was really in heaven. I tried to shove the thoughts away, but they came to me at unexpected times, catching me off guard. I prayed that the Lord would help me to see the truth, to bring me peace. When I found out that my dear friend Bonnie Floyd was going to be the speaker for the Peoples Church Women’s Retreat, I registered to go. It had only been seven weeks since Randy had died, but I hadn’t seen Bonnie in years, so I decided to surprise her by showing up. I sat in the second pew and when she was introduced and came out from backstage, she saw me instantly and she came down to hug me before she began to speak. I felt so blessed and loved by this wonderful woman of God. The next morning after the service, the director of Women’s Ministries instructed us to go somewhere alone to have some quiet time with the Lord. I didn’t feel like wandering around and finding a rock to sit on, so I headed back to my room. I had reserved a single room in one of the nice hotel-style lodges, and I was thankful now for that place of solitude, knowing that I could weep if I needed to without feeling self-conscious. I sat down in a chair and began to pray, allowing the Spirit of God to fill me with His presence. After a time, I looked up, focusing on the decorations in the room for the first time since arriving the afternoon before. Everywhere I looked, there was something to do with fishing: a net, a fishing pole, a tackle box, and even a sign that said “Gone Fishin'”! Randy had expressed the desire to go fishing with Jesus when he lay dying in the hospital, and here were all of these messages to my heart that he really was there in heaven, doing that very thing! I had a little praise revival right there in my room! And just to confirm that it was unique to my room, I asked several ladies who had rooms on my floor. None of them had fishing-themed rooms. I felt like God was hugging me close. Shortly after I returned home from the retreat, my mom and dad called to let me know they had gone into a Thomas Kinkade gallery and noticed one of the featured paintings. 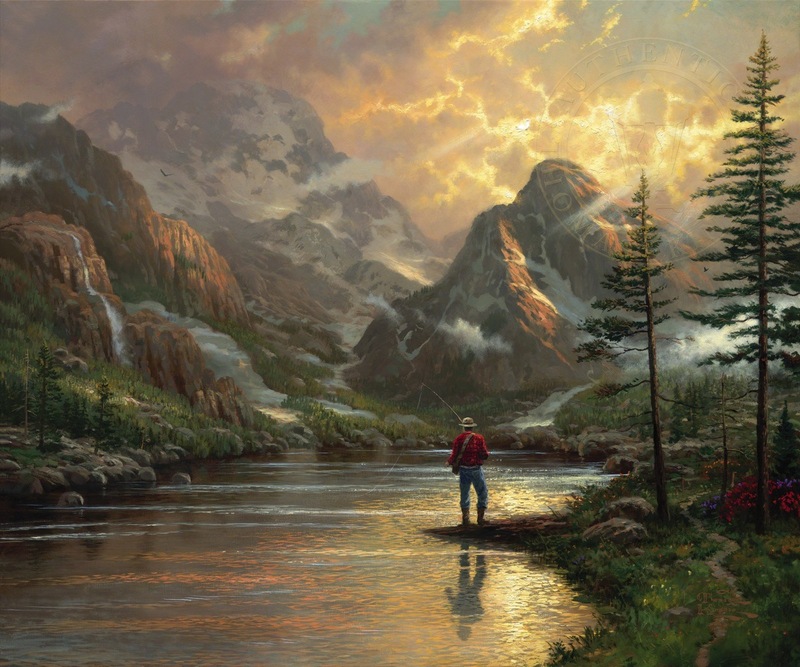 It depicted a beautiful stream surrounded by gorgeous mountains, and a man stood on the bank, fishing. They thought the man looked like Randy. And the name of the painting? Almost Heaven. Another hug from God! That spring, a pair of house finches built the sweetest teacup of a nest on a light fixture outside my bedroom window. Never in all our years of living in this house had that ever happened. Randy had managed to attract goldfinches and house finches to our yard with special feeders, but none had ever stuck around long enough to actually nest. I was so excited. It felt like a piece of him was there, lingering under the eaves. Three tiny eggs hatched into three chirping babies and once they were able to fly, the whole family fluttered away, never to return. Once again, I felt like I had a special hug from God. My precious friend Diane asked me once why I stayed with Randy through those ugly years, enduring the harsh words and the heartache. I don’t remember how I answered her then, but as I consider back to those hard days, I know part of me stayed because I had been married–briefly–once before Randy, and I didn’t want to be called a two-time loser. More than that, I did not want to put my kids through another divorce. The three older ones were my cherished step-children, yes, but they were still my kids. Janelle and Michelle, Randy’s first precious birds, adored their bigger-than-life crazy dad. And Michael, his firstborn son was in many ways a chip off the old block. They had already gone through divorce and I knew it would just cause more damage to bring it on them again. And Joel. The child I had carried just beneath my heart for nine months and who had spent more constant and consistent time with his dad than any of his siblings. I couldn’t bring his world crashing down. So I stayed. But the biggest reason I stayed was that I had HOPE. God had given me a promise that He would make the ugly ashes of my marriage into something beautiful, and He did. I would have missed out on the fulfillment of that promise if I had walked away. As I draw this series of blog posts to a close, six years after the events they describe, I cannot stay silent about the idea of HOPE. We can place our hope in so many things: hope in our government, in our education, in our jobs, in horoscopes or tea leaves, but there is no real HOPE without Jesus. It is because of Him and in Him that we have the HOPE of eternity. Do you know Him? There is coming a day, and that day is not far off, when the answer to that question will be all that matters. Are you ready for that day? If you are not, you can be! Like the rainbow that appears after a rainstorm, there is a beautiful side to this tale. God spoke to me one night in the midst of my despair, words of hope that sustained me in the darkest days. As the cancer began its destructive march through Randy’s body, his rages began to reappear. There had been a wonderful span of years when the anti-depressants gave him the ability to handle situations with greater patience and to form meaningful relationships with people. It also strengthened our marriage, helping us become partners in life. We served together in ministry at the church, teaching junior high Sunday School and later leading the single adult ministry. We each had individual ministries, with Randy being one of the pastor’s prayer partners and me directing the women’s ministries. We each attended a number of conferences and retreats, such as Promise Keepers and Women of Faith. They were days of wonderful spiritual growth for both of us, so when the angry eruptions began again, I felt blind-sided. How could this be happening? I didn’t know how to smooth things over, and my attempts to calm him down when he lit into other people only turned his anger on me. I became very good at weighing my words carefully before speaking them, tiptoeing through a minefield of eggshells. By this time in our lives, Randy wasn’t working because of his back injury. I understand better now the emotional havoc that can wreak on a man, not being able to contribute to the support of his family. It takes an emotional and psychological toll on him. But back then, I just knew we were trying to survive as best we could. I was a teacher and I worked hard during the week, continuing in the evenings with grading papers, and on the weekends with preparing for the next week. There wasn’t a lot of time for such mundane things as housework, but I did my best. One Saturday in particular, Randy and I chatted over breakfast about some of the house projects we wanted to get done. I had mentally set aside the day for getting caught up on some much-needed housework, so my mind wasn’t really focused on future things. However, he wanted to spend time daydreaming out loud of things to come. We essentially toured the house and yard, jotting down ideas, sharing our thoughts with each other, planning. I took notes, and in the back of my mind, I saw my plans for the day sifting through my fingers like sand. It was actually a very pleasant day for the two of us, but the housework never got done. That evening, Randy looked around the house and exploded into a rage over its condition. I wanted to say that I had planned on cleaning that day but we had spent the day hanging out together instead. All I could do was stand there looking at him, mouth open in shock. He stormed off to the bedroom to go to bed, and I stayed up most of the night cleaning. As I wept my way through dusting and vacuuming, I cried out in despair to God, telling Him that my marriage was in the ash heap. And immediately, His voice spoke to my spirit: I make beauty from ashes. 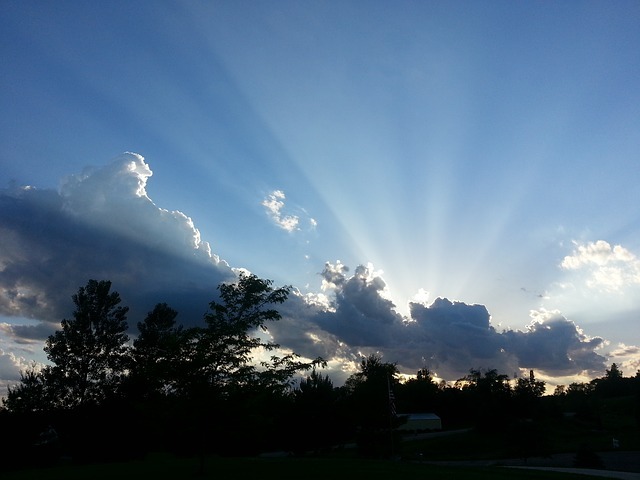 I felt comforted, knowing I wasn’t alone, that God was with me every step of the way. The passage is speaking of the Messiah who was still to come. Yes, it was a promise for the people of Israel, but God also gave it to me personally that heartbreaking evening. Not knowing what was causing the changes in my husband, I began praying through my house every morning, praying that the Lord would fill each room with His presence, commanding the devil to leave in the name of Jesus, and that God would place a hedge of protection around it. I even walked the perimeter of the yard, asking for the Lord to surround our home. When I cleaned the house on Saturdays, I was able to spend even more time in prayer in each room. As far as I could tell from my limited perspective, my prayers were having very little effect. One fall Sunday, I was getting ready for church when Randy essentially gave me an ultimatum, letting me know that I could keep my ministry with the women at the church, or I could keep my marriage, but I couldn’t keep both. My heart breaking, I knew I had to resign from ministry, but I was in charge of a critical retreat in just a few months. It would be the last event, and then I would officially step down. 19 The people of the city said to Elisha, “Look, our lord, this town is well situated, as you can see, but the water is bad and the land is unproductive.” 20 “Bring me a new bowl,” he said, “and put salt in it.” So they brought it to him. 21 Then he went out to the spring and threw the salt into it, saying, “This is what the Lord says: ‘I have healed this water. Never again will it cause death or make the land unproductive.’” 22 And the water has remained pure to this day, according to the word Elisha had spoken. 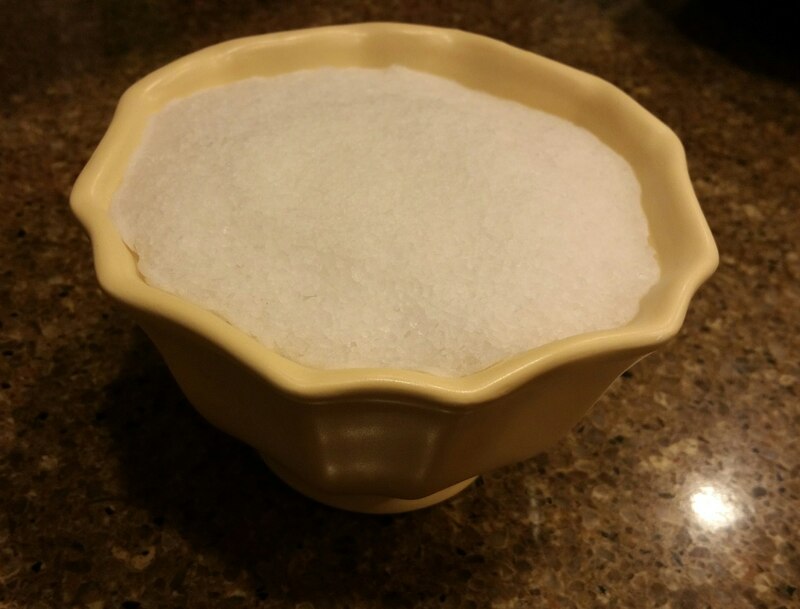 The retreat speaker told me that when I prayed through my house, to begin dropping salt into all of the drains, cautioning me that it wasn’t anything magic, but merely symbolic, a reminder to me. In my prayer, she encouraged me to ask the Lord to make the bitter waters of my marriage sweet. She reached into her purse and gave me a twenty dollar bill, telling me to buy a new bowl. She said to use it to remind me to serve my husband in a new way. As I continued to pray over the next few months, it did seem that things were a little smoother for Randy and me. 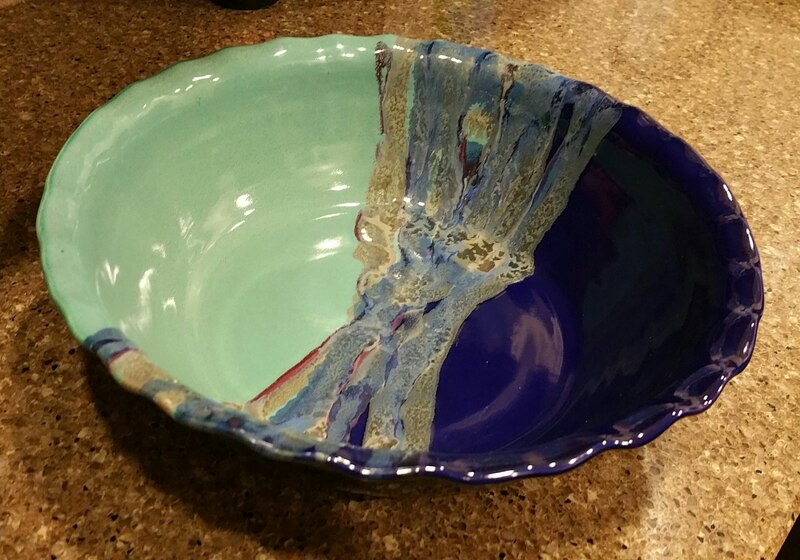 We took a trip to Cambria to celebrate our anniversary, staying in our favorite hotel on Moonstone Beach, It was a wonderful weekend, and as we wandered in and out of shops in that quaint seaside town, I saw a bowl, the perfect bowl. It was handmade with glazed shades of blue giving the impression of water. I told Randy I wanted that bowl,. He looked at me with a quizzical grin, wanting to know why. “I just need it,” I said. I used the twenty dollar bill that had been tucked in my wallet since the retreat, waiting for the moment I would find just the right bowl. I called those last few years of his life my “Exile Years”. Even though I was not attending church, I did not let go of spiritual things. I dug even more faithfully into God’s Word, seeking His face more regularly. He was my Lifeline. I felt strongly that though my ministry at the church was over, I was to spend these years ministering to my husband. I prayed for him faithfully, and as time went on, the focus of my prayers went from how the state of our marriage affected me to just asking God to give me the kind of love for Randy that he needed. And my love for him began to grow. As that retreat speaker had impressed upon me, I was now serving my husband in a new way, serving him in love. And he began to change toward me, becoming more loving, more patient, considerate, and helpful. He began getting up with me in the mornings to make my lunch. The gourmet-quality salads he assembled were the envy of my co-workers. Whenever we had a potluck, people would ask me to get Randy to make a large version of the ones he made for my lunch, which he would always gladly do. When I got home at the end of the day, he would have already started making dinner and I would step in to help, enjoying our teamwork. Our camaraderie was solace at the end of a stressful day. On weekends, we took long walks with the dogs, enjoying their exuberant play. I had recently bought a good quality digital camera, and we would take it along, capturing memories. Randy encouraged my efforts at learning photography, and as I began to explore digital scrapbooking, he helped me with ideas for layouts. One of my most cherished memories of our last year was one day when I sat in the recliner with my feet up, bemoaning my sadly neglected pedicure. It was the start of sandal season and I really needed to get them done. Unfortunately, we were trying not to spend money unnecessarily. Randy disappeared down the hallway and came back with some supplies. He knelt down at my feet, washed them, trimmed my toenails, and then painted them a bright pink color. It was the most humbling thing he had ever done for me, and I was overwhelmed with love for him. I realized at one point that year, before “cancer” entered our vocabulary, that I would rather come home to my husband than go anywhere else on earth. We had finally, after 23 years of marriage, become best friends. God had kept His promise to me, to make beauty from our ash heap. And even as the days marched toward that dark day of discovering my husband was dying, we grew closer, more content in our little world. When I was much younger, one of my favorite happy accidents was catching Paul Harvey on one of his famous “The Rest of the Story” radio broadcasts. I loved his folksy voice and the unexpected story behind the story of famous people and events. He always managed to surprise me with an ending I hadn’t anticipated. After focusing so much in my previous posts about the end of Randy’s life, I knew that I would not do our story justice if I left it at that. There is so much more to be told. You know about the cancer and the hospital and the funeral, but it’s time you heard, as the venerable Mr. Harvey would say, the rest of the story. I sit here now, fingers poised over the keys, struggling with how to tell of the years between the first “hello” and the last “good-bye”. There are so many moments I could share, quite a few filled with laughter, but oh so many that were raw with tears. Those raw-with-tears moments are the hardest to describe, but to fully appreciate the laughter and joy-filled moments, they need to be told, and, like yanking off a band-aid from a healing wound, it’s going to hurt. One of the traits that attracted me to Randy 29 years ago was his exuberance. He didn’t live life quietly. He was always active, taking charge of situations, laughing with head tilted back, mouth wide. But along with that exuberant, forward-leaning excitement came a darker side, like two sides of the same coin. The problem was, I never knew which side would be flipped up at any given time. Not long after we met, I was at his house for dinner on a weekend he had the kids. He had a great house on two and a half acres with plenty of space for the three children to run and play. We were making the meal when he got mad at me over some insignificant thing. In front of Janelle, Michelle, and Mike. Their wide eyes all pivoted to me. I stood with my mouth open wondering what I had done. Randy volleyed another venom-laced criticism, and I withered. I stepped away from the kitchen and walked out the door. Feelings hurt, heart wounded, I strode down the long driveway to the street and walked away. For a while, at least. It was dusk and I wasn’t planning to go far, but my tears needed time to dry. This was the first angry outburst Randy had directed at me, and several years later, I looked back on that day and told myself it would have been better if I had just kept walking. We weren’t married yet. It wouldn’t have been a messy thing, not as painful as divorce. But no. I already loved him, and I really didn’t want to be without him. I turned back and walked into the yard to stand outside the kitchen, watching Randy and the girls through the window as they finished making dinner. He was laughing and joking with them like nothing had ever happened. Or maybe like I had never been there to begin with. He certainly didn’t look concerned about where I might be. And after I walked in the door, he acted as if nothing out of the ordinary had occurred and I hadn’t been gone for the last half hour. Unfortunately, that weekend’s eruption of hurtful words was not unique. Though infrequent at first, there were more and more as time went by. I learned before long that acting like nothing had happened after an outburst was his standard method. He never apologized for anything, telling me once that “love means never having to say you’re sorry”, a line from the movie Love Story. Well, not having to is one thing, implying that forgiveness is an integral part of the relationship. But never apologizing for hurting someone is a whole different thing. Every flare-up on his part chipped away at my self-esteem. I had never been around anyone with such a volatile personality, and I didn’t know how to respond. I found safety in no response at all, hanging my head, drawing inward, vowing to myself to avoid that particular trigger in the future. Unfortunately, it turned out there were a lot of triggers to keep track of, and inevitably I would press one again. The hardest part for me was the unpredictability of the outbursts. Things could be going along smoothly for days and weeks, and I would grow comfortable, feeling settled in our relationship, when out of the blue something I said or did would make him fly off the handle. There was the time I was sitting on the loveseat, nursing my two-month old baby. Randy sat across the room in his chair and we were talking. I probably said something off the cuff, teasing him lightly like most people who are comfortable with each other can do. Sadly, teasing was often a trigger to him. He had a small bag of candy in his hand which he angrily rocketed across the room at me. My hands immediately moved to protect the baby, and the bag of candy struck the back of the hand I was using to shield Joel’s head. There was enough of an impact to startle the baby and cause him to start crying. Randy stormed out. It was my first moment of genuine fear, and the first time I really considered leaving for good, taking the baby somewhere safe. I made a promise to myself that day that if he ever struck me, I would leave. Thankfully, that was the only time in our lives together that something he threw ever actually hit me. Those out-of-left-field angry outbursts came at random moments over the next few years, like the sunny Saturday morning eating pancakes on our weekend to have all of the kids. Randy was making the pancakes and I was sitting at the table with the kids, assisting them with butter and syrup. I don’t remember what triggered it, but the next thing I knew, a plate of pancakes sailed past my head and through the picture window behind me. After the first few tumultuous years, Randy was prescribed an anti-depressant, and suddenly, his emotions became more manageable, more even-keeled. Life was actually pretty doggone good, for the most part, but I’ll save that tale for the next post. Because eventually some abnormal cells began to divide and conquer his pancreas and over the next few years, spread like an invading army into a multitude of organs throughout his abdomen. We hadn’t even the tiniest clue what was going on, but because the pancreas controls a body’s hormones, Randy became an emotional firestorm. Some folks blamed it on the strong pain medication he was taking, and I secretly blamed it on the devil, believing my husband was under severe attack in the spirit world. He had stopped attending church with me over a disagreement he had with our pastor, and he became venomous whenever in the presence of someone with whom he didn’t see eye-to-eye. His very demeanor changed, and sometimes looking in his eyes when he had descended into a dark place, I saw nothing but evil. I was at a complete loss as to how best to survive these dark days. 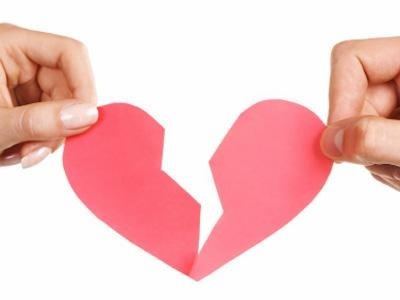 All I know is that our lives came to a point when I was given an ultimatum: I could continue in my marriage, or I could continue doing ministry at the church. I chose my marriage, and for the next four years, I lived apart from the loving support of my spiritual family. I never shared with anyone the darkness that enveloped my home. There were little bright spots here and there, but for much of the time, I lived my life disconnected from other people, covering for Randy as best I could, protecting him. So you’ve gotten a taste of some of “The Rest of the Story”, but thankfully it isn’t the end of the story, because God promised me He would make beauty from the ashes of my marriage, and like all of His promises, this one came true. Parties. We were not “party-ers”, those people who make the rounds looking for lively experiences to escape their mundane existence with drink and loud music. But we did love a good party. In fact, we met at a party. It was the 4th of July, 1985. I was staying at my parents’ house for a few weeks while taking classes at a local university, and my folks were having their annual church Independence Day celebration. Kids splashing in the pool; food platters being arranged on tables; deep-pit meat roasting in the ground; people milling around laughing and talking. One handsome well-tanned guy, hands in pockets, looking like a tennis star, stood alone in the center of everything. I kid you not, it was like a beam of light was shining down on him from above. I was in the house helping my mom in the kitchen when I noticed him through the window. My heart skipped a beat. Literally. And then it began to pick up its pace. I scanned the area around him. He appeared to be all alone. “Mom, who’s that guy?” I knew most of the people there because I’d been a part of that church for a good chunk of my life, and that good-looking one was not part of the usual crowd. My mom glanced up, realized who I was talking about, and said, quite emphatically, “Him? No way! Don’t get interested in that guy!” She even made slashing motions back and forth with her hands. Being the stubborn gal that I am, that only added another layer of intrigue to the mystery of this man. So, to cut to the chase, Randy and I began a relationship that night. The fireworks shooting off sparks were no match for the blaze being stirred up between the two of us as we sat in lawn chairs side by side watching the show. I found out Randy had three kids and was going through a rough divorce. Aha. That explained my mom’s adamant reaction. We dated for a few months and married the following March. Our life together was far from easy, but those tales will wait for another time. The bottom line was, we loved each other, and we managed to weather some pretty fierce storms. But back to the party theme. Yes, we met at a party. And we threw a party every year on Super Bowl Sunday. These were the events people wished they’d be invited to. Our little house would be brimming with sixty-some people, families with kids of all ages, and decorated to the point that not much empty wall space could be found: pennants, posters, and random football-themed items hung everywhere. Pretty much every room had a TV in it, even the bathroom. It was a crazy, exuberant, noisy, fun madhouse. Each year was better than the year before. Lots of family and friends, enough food to feed an army, Super Bowl cake, and somewhere in there, a football game! 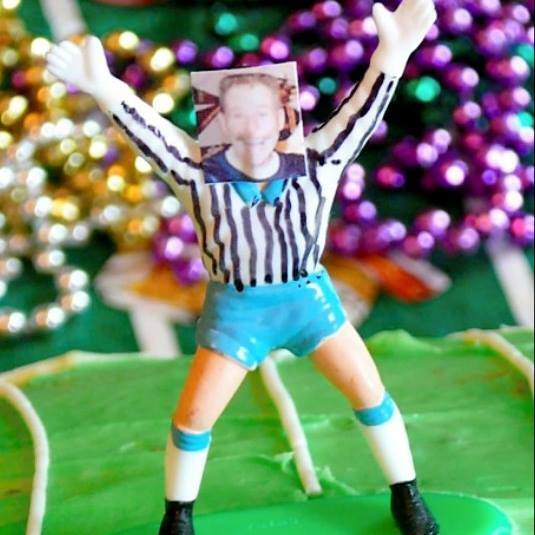 Yes, we threw a fabulous Super Bowl party every year, until the last handful of years that Randy lived. His pain level had grown to the point that he didn’t really want to be around people much. Our world grew smaller, more secluded, and seldom included dates on the social calendar. There were other parties over the years: some pretty awesome birthday parties, the annual Allee family Christmas Eve brunch, graduation parties… But none of them had near the attendance as the birthday celebration of 2009. Randy died on August 16, 2009, five days before his 58th birthday. When I sat down with the four kids and Randy’s mom, we began to discuss how best to honor this larger-than-life guy we all loved. And that’s when it hit us: let’s have his memorial service on his birthday! That may seem an odd day to some, but we knew that Randy would have been the first to suggest it if he could have. We met with the pastor, made all the arrangements, ordered a special birthday cake, and turned a day of mourning into a celebration of a truly unique life. The church was packed wall to wall, and anyone showing up late had to park way down the street. When I turned around in my seat to survey the crowd, I realized that no other event had filled the building to this capacity. What a testament to the impact Randy Allee had on other people! Each of the kids shared something special: Joel sang a song and Janelle, Michelle, and Mike all spoke about the larger than life man they called Dad. There were some tears shed and lots of laughter, with many hugs and exclamations of “That was the best funeral I’ve ever been to!” when it was over. After the service, we had a meal in the fellowship hall, with the birthday cake on display. 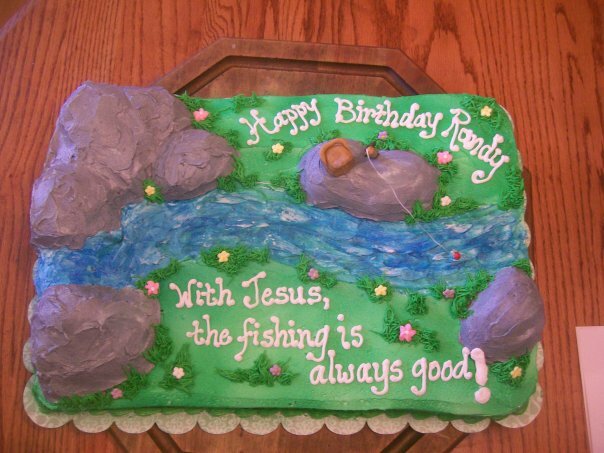 When in the hospital, Randy had talked about going fishing with Jesus, and the cake celebrated that theme. Randy was a bird man. I don’t think he started out to be one, but he most definitely became one. After his back injury, his physical activity slowed down quite a bit, even to the point that he wasn’t able to work. What does a man who thrives on physical activity do with his time when he can’t work? In the case of my husband, he took up bird watching. It started in our backyard with a little red book open to the bright, full color photographs of the birds Randy saw there. His trusty National Audubon Society Field Guide to North American Birds rarely left his hands as he sat looking out the sliding glass door at the birds flitting about the trees and hopping in the grass. “See that one with the little white stripes on its head? It’s a White Crown Sparrow. And those birds diving around in the sky? Swallows.” He worked to attract as many types as he could, providing thistle seed for the goldfinches and nectar-filled feeders for the hummingbirds. He loved to take walks with me along Fancher Creek near our home. We would stop often to watch the birds flitting about the bushes that grew along the banks. There was one tiny bright green bird that we never could figure out. It darted about rapidly, diving in and out of a bush whose leaves nearly matched its feathers. But Randy’s first love when it came to birds had nothing to do with feathered creatures. Those objects of his affection were his four children, the ones he called his “birds”. He had a uniquely wonderful view of parenting: we raise our children to lose them, to essentially encourage them to fly away. He was always teaching them things he believed they needed to know in order to survive in life, and as I look at them now, I think they may have been paying pretty close attention. On this date six years ago, right about this time of day, I sat in a quiet hospital room, curtains drawn across the windows, my family around me. Randy was propped up in the bed, the only tube connected to him a saline drip with pain medication. At this point, there was nothing being done to prolong his life, only to keep him comfortable. My brother Jeff, a doctor from southern California, had examined Randy and thought his blood gasses were good and it looked like he could go for several more days. He talked to me at length about the positive aspects of hospice, and based upon his recommendation, I let the nurses know I’d like to make arrangements to take Randy home the next day. I’ve read that people who are in a coma, which Randy basically was at that point, can hear what others are saying to them. And I wonder now if my conversation with Jeff was being listened to by the man in that bed, because what happened shortly after that changed everything. It was dinner time, and though I wasn’t particularly hungry, I had been forcing myself to eat at mealtimes to keep up my strength. I knew it was important in order to make it through everything that was still to come. The rest of the family rose along with me to head to the hospital cafeteria for a brief break, except for Michael. He didn’t want to leave his dad, so he stayed behind. Mike later described what happened next. He was playing games on his phone when the battery died. What could he do now to pass the time? He decided to sing worship songs. A few songs into his repertoire, he began to sing “Jesus, Lover of My Soul” while leaning over his dad, singing directly to him. It was in the middle of that song that Randy exhaled a long breath–and was gone. Joel walked in at that moment, knew his dad had passed away, and called Janelle to tell her. She came to get me and we all hurried back to the room. I was so upset that I hadn’t been there, but both Janelle and Michelle consoled me, telling me it was okay, it was going to be okay. And I realized then, Randy had done it his way. He didn’t want to go when all of us were hanging out in the room, and he didn’t want to put me through the hassle of getting hospice arranged and having him moved home. He waited until the room was almost empty, and then he left us while Mike’s beautiful voice ushered him into the arms of Jesus. Hello to my wonderful readers! I would like to welcome you to my blog and to invite you to read the story I have shared from a full and grateful heart, describing the difficult yet hope-inducing events I have gone through personally. Please click the page link below that says "Ready" to find all of the parts listed in order.